7 Benefits of Retirement Planning | Pure Financial Advisors, Inc. There are several benefits of retirement planning that range from both financial to personal and psychological. Let’s look at seven common reasons why planning for your retirement can work for you. This is by far one of the most important benefits of retirement planning. Planning ahead not only reduces your stress during retirement but also in the years leading up to it. The lack of planning can leave a cloud of uncertainty around the topic that can create an unnecessary level of stress. If you take the time to plan for your retirement early on, you will be able to make more efficient career-related and general financial decisions prior to retirement with appropriate planning. Is it better to stay at the current law firm or start your own practice? Will the mid to late career degree, license or other credential make sense monetarily? These decisions may be different for someone with fifteen years to retirement compared to someone with only five years until retirement. One of the benefits of early retirement planning is that you can make sure your plans work well with other relevant parties. It’s never too early to make sure that you and your spouse are on the same page with spending and lifestyle desires in retirement, but your significant other may not be the only family member you may wish to have a conversation with. Some retirement plans are often affected by a saver’s desire to meet other objectives such as assisting an adult child in starting or acquiring their business. To the extent that these goals may affect your own retirement savings, you will benefit from planning beforehand. There are several tax benefits of retirement planning, including reducing the amount of income taxes you will pay during retirement and ensuring that beneficiaries to retirement and other account types pay as little tax as possible. One of the key areas that many people overlook during their life while saving for retirement is tax diversification. This involves establishing different “pools” of money in accounts that are taxable, tax-free and tax-deferred. These different accounts allow income during retirement to be strategically withdrawn from a variety of sources depending on future conditions. 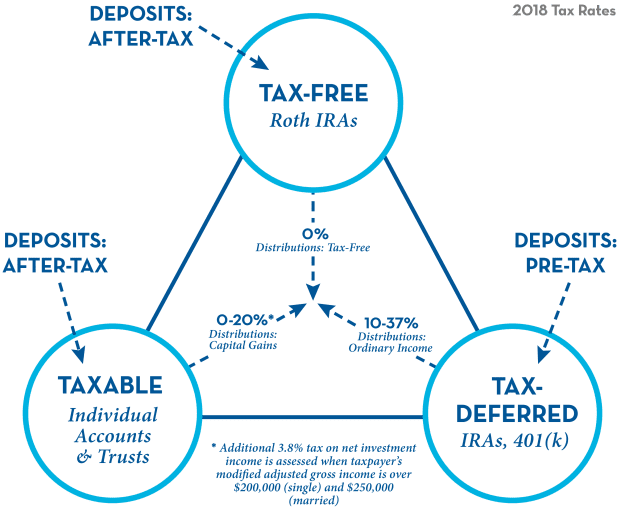 One retirement saver who only has a tax-deferred account (a traditional IRA, for example) may pay substantially more in taxes for the same withdrawal amount as another saver with a traditional IRA, Roth IRA and regular taxable funds. The earlier your planning begins, the easier it is to establish and grow your funds among these available “pools” of money. There are many ways to reduce costs with appropriate planning. Many of the insurance policies you may need (long-term care, etc.) can be acquired at a lower premium when younger and in good health rather than waiting until retirement and risking a higher rate or denial of coverage. Those who know where they would like to reside geographically often wish to examine options other than buying at the time they retire. Would it make good financial sense to acquire the property in the desired retirement location in advance and rent it out until retirement? How much time do you need beforehand if you plan to build a new property? 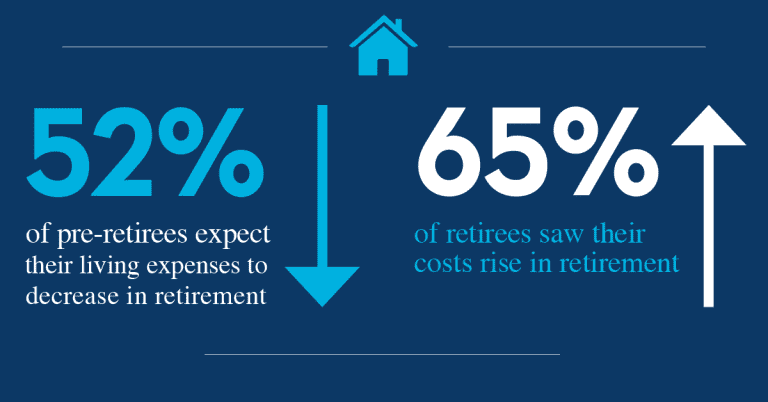 Early retirement planning can increase the likelihood that your goals are met with the least cost. One of the greatest benefits of planning, in general, is that you can determine how all your financial objectives relate to one another rather than evaluating them in isolation. What are the tax consequences of my investment decision? How will the decision to purchase additional insurance affect my contribution to saving? How do these issues affect my heirs? Think of your financial decisions not as a series of yes/no decisions unrelated to one another, but as many competing interests, each of which is affected by the rest. Planning for retirement can also provide benefit to your heirs or your favorite charitable causes. View your legacy in total, not just the distribution of your assets at death to various beneficiaries. Your wishes may be more complex than you think. Perhaps your retirement decision involves unwinding or selling a business you’ve started. You may find your decisions affect not just yourself but many employees. Perhaps you have charitable interests and plan to commit a certain amount of your worth to various causes. By planning beforehand, you may be able to take from sources (during life or after) that have the most favorable tax consequences, thus giving in the most efficient manner. Many retirement savers can benefit from working with a professional to discuss these issues. Consider how a qualified professional may be able to aid with your specific retirement planning needs.